So far I’ve done my Om Shreem Mahalakshmiyei Namaha meditation mostly at home, but I’ve also sat and silently chanted in an airport, an empty hotel conference room, and my brother’s guest room. I’ve meditated with my dog, Sofie, curled up next to me, while lying down in savasana (corpse pose), and with my legs up the wall. 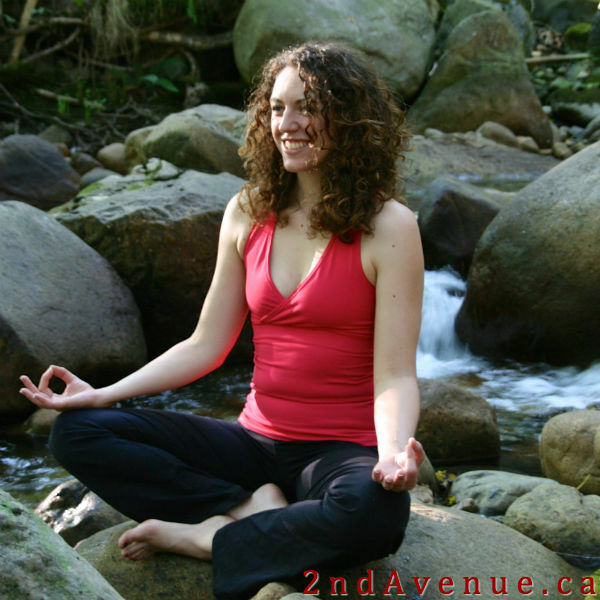 I’ve meditated in yoga gear (stretchy pants and a tank top) and in jeans. I’ve meditated in the morning, in the afternoon, and in the evening. 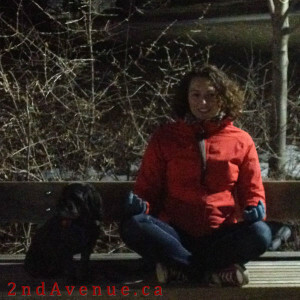 I’ve meditated as part of a yoga practice and as a quick 10 minute stand alone. I have not sought out a regular meditation routine (like a specific time of day or location), but have been able to fit it into my life without feeling like it’s an imposition. I have embraced the idea that there’s no wrong way to meditate. 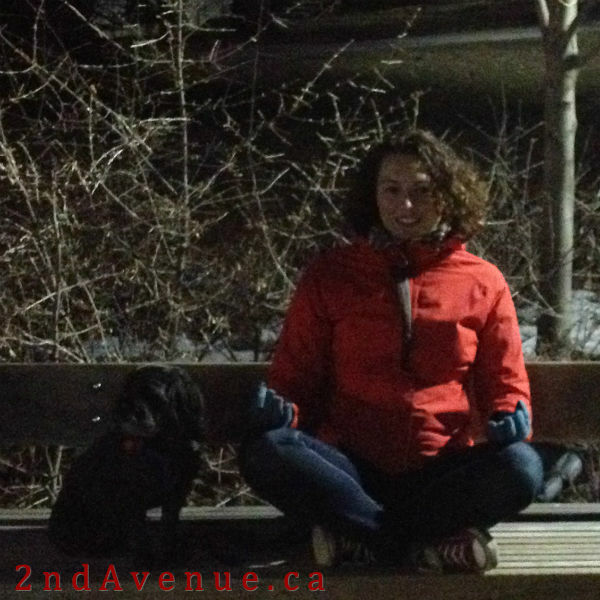 Simply sitting and being mindful is enough. Nowhere is the amazing transformative power of a haircut more visible than with my dog, Sofie. From sedate shaggy fluffball… to puppy-like sleek (almost scrawny!) in a few short hours. We let her coat grow a little longer than usual to cope with the snow and cold in Calgary, but last week it warmed up a bit and Sofie’s fur started to seem like too much to manage. While she consents to being brushed (with periodic snaps at the brush), it’s certainly not her favourite activity and we weren’t able to keep up the thrice weekly grooming sessions necessary to keep her coat from matting. So I pulled out the clippers, slipped Sofie a little Rescue Remedy, and got to shearing. A couple hours later, an entirely new dog emerged! 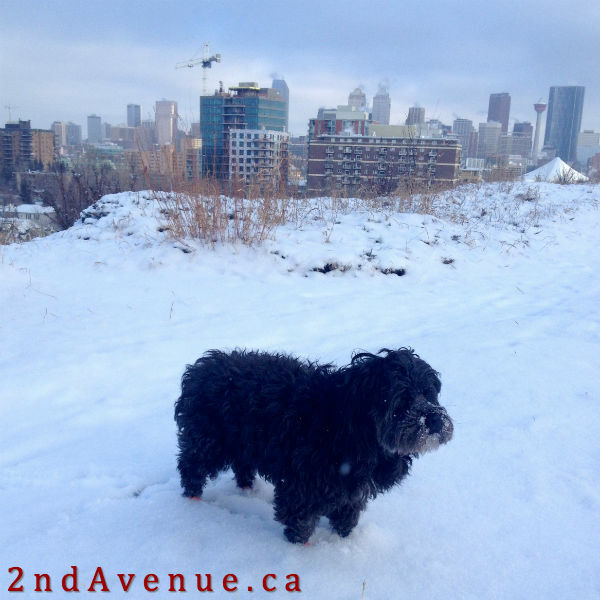 Unfortunately, Calgary’s weather slipped back to winter immediately after Sofie’s haircut, but the forecast is calling for warmer temperatures – and her non-fur coats to kept her toasty in the meantime! A recent post on The Local.de about Stolpersteine in Munich explained why I saw lots of these brass plaque commemorating Holocaust victims in other German cities, but none in the capital of Bavaria. Munich has a lot of Jewish culture and history, which made me think it was odd that they didn’t have these cobblestone-sized memorials on the streets. 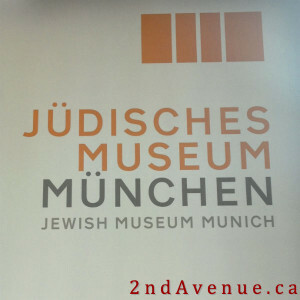 Before we left Munich, I visited the Jewish Museum and really enjoyed their collections. I probably have a greater interest in Jewish culture and history than the average person (my undergrad studies focused on Old Testament literature and its historical Judaic context), but I suspect travellers curious about Germany’s history would be able to spend an hour or two wandering this four-story institution. The heart of the permanent collection (located in the basement) features artifacts from Jewish life – things like Torah scrolls, Seder plates, Tefilin (small wearable prayer boxes), and Shofars (horns) – along with replicas that visitors are welcome to touch. An interactive map of Munich shows important Jewish sites (many destroyed during WWII) and there’s a touching floor-to-ceiling graphic novella. My favourite bits of the lower floor were the items selected from the vast Jewish Museum holdings by individuals; each piece gave its historical importance and provenance along with the reasons that person picked it. Stand outs were a gorgeous embellished Torah cover from Munich’s Nazi-destroyed synagogue and a section of a cupboard from a concentration camp survivor. It was very interesting to learn why the artifacts were selected and examine their respective intricacies. The top two floors house temporary exhibits and a permanent library. The exhibit on Jews between the two world wars (entitled WAR! Jews between the fronts 1914-1918) spanned both floors and described how Jewish Germans fought for the German side in WWI, contributed to the war effort in general, and how Jewish veterans were treated in the lead up to WWII. It was eye-opening and moving and gave me insight into the anti-semitism that pre-dated Hitler’s rise to power. Given my love of the written word and my Masters in Library and Information Studies, it’s no surprise that the library captivated me most of all. 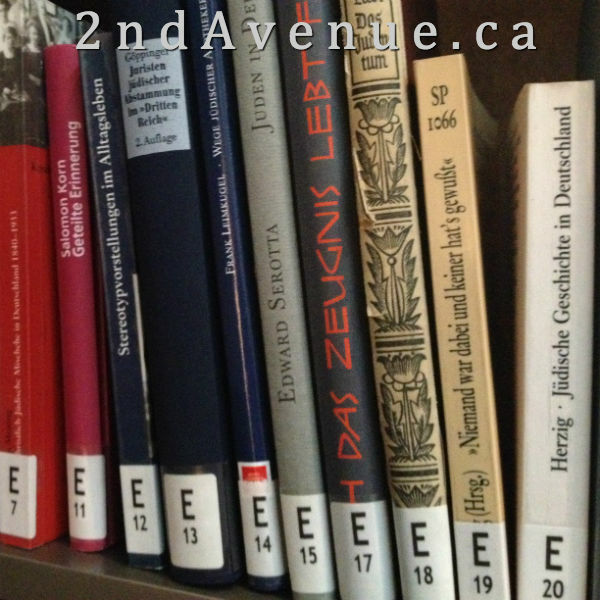 Despite being a relatively small collection (likely under a thousand volumes), it was very diverse; novels, old encyclopedias, art books, graphic novels, pamphlets, poetry, magazines… in a range of languages – German, English, Hebrew, French, Czech, Russian – even Arabic! Rather than following a standard classification system, the library was arranged by subject matter (noted on the spine label by a letter) and then accessioned. This system made for great thematic browsing as all the works on a particular subject matter were clumped together regardless of format or language. Perhaps because it was so academically interesting and well-curated, my visit to the Jewish Museum Munich was rewarding and enriching – not depressing or anger-inducing as I’ve found at some Holocaust-centric exhibits. If you’re in Munich and want a break from Bavarian culture and beer, Jewish Museum Munich offers a fascinating glimpse into the city’s Jewish-ness. Today is my dad’s birthday. A birthday he likely wouldn’t be celebrating without the generosity of blood donors. Last spring, my dad had a health incident which required extraordinary life-saving measures, including multiple blood transfusions. He received exceptional medical care, but probably wouldn’t have survived without replacing at least some of the blood that he lost. 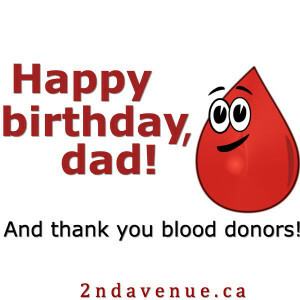 My dad was a blood (and platelet) donor for decades before health complications made him ineligible and there was something poetic about the system he’d supported for so many years paying him back in kind. Even more poetically, there’s the slight possibility that my husband’s blood made it to my dad. My father and husband share a blood type and we donated blood just a few days prior to my dad’s hospitalization. If you are eligible to donate blood (and not terrified of needles! ), I urge you to do it. It takes about an hour, it’s relatively painless (although not entirely, I can’t lie about that), they give you cookies and lots of ‘thank yous’, and it’s the easiest way I know to directly help save a life. The basic requirements to donate blood in Canada are being over 17 and in good health. (There are more eligibility restrictions on the Canadian Blood Services website, which don’t apply to most people, but sadly mean that gay men can’t donate.) It’s easy to find a nearby clinic through the Canadian Blood Services website and use their 1-800 number to book an appointment. 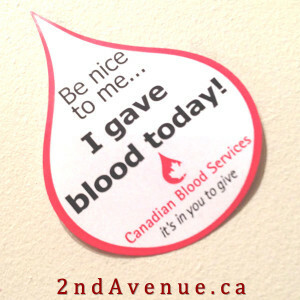 I am so appreciative of all the donors who gave of themselves (literally!) to help save my dad’s life. Several months after his health scare, my dad is doing really well, but I shudder to think of what would have happened if my dad had been unable to receive those transfusions. If you can donate blood, please do! Just a few weeks after landing in Calgary, I found myself at the Saddledome watching a Calgary Hitmen hockey game. How stereotypically Canadian! I can’t say that I missed watching live hockey while in Europe (I’ve never been a huge sports fan), but it was nice to be doing something so typically Canadian with other Canadians. There were families with kids, groups of teenagers, a cluster or two of slightly rowdy young men, and couples on dates; the same demographic that show up at rinks all across the country, regardless of the league or the skill of the players. While watching the game, I ate salty popcorn and nachos with plasticky cheese and pickled jalapeno peppers, washed down with overpriced beer; the same ‘cuisine’ available at minor league hockey games everywhere in Canada. I cheered when the home team scored (which happened right in front of us once!) and booed when the visitors got a goal (although the visiting team was from nearby Red Deer and their fans came close to drowning out the local crowd). I applauded the little kids who took the ice between periods, bought a 50/50 ticket, and watched the zambonis resurface the ice during intermissions. Just like millions of Canadians do at hockey games in every province and territory. 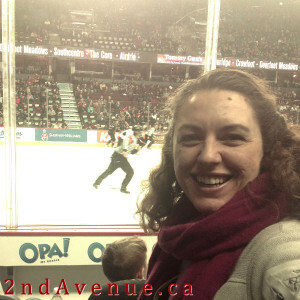 Having attended many hockey games (even without really liking the sport! ), I knew what to expect and how to behave. I didn’t worry about language barriers or not understanding the basics of the game or inadvertently offending those around me through my lack of cultural experience. For a few hours, I was just a typical Canadian engaged in a typically Canadian pastime. A nameless hockey fan. There were a few things I knew missed while abroad (like natural peanut butter! ), but I hadn’t realized how much I missed feeling like just another face in the crowd. I hadn’t realized how comforting it can be to be typical. Thanks to Stompin’ Tom Connors for the post title 🙂 Another typically Canadian trait is knowing at least some of the words to his most popular work – The Hockey Song! We’ve been in Calgary for about a week and a half and are starting to adjust to the dry climate, cold temperatures, and bright sunshine. The windchill can be harsh, but actually seeing the sun in the winter (unlike the typically grey skies in Vancouver or Berlin) offsets at least some of the wintry pain. 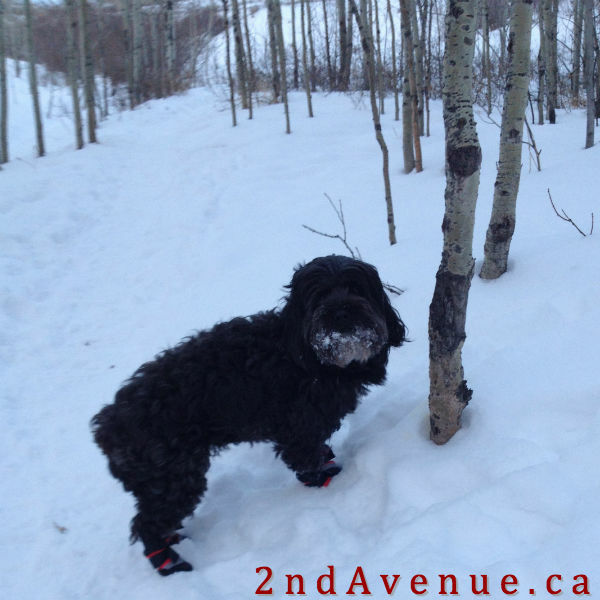 Sofie’s enjoyment of the deep snow also makes the winter weather more bearable! Despite being shorter than the drifts, Sofie loves running through the snow – snuffling and sniffing as she goes. She usually winds up with a very icy beard and frequently needs some thawing time after we get back inside. 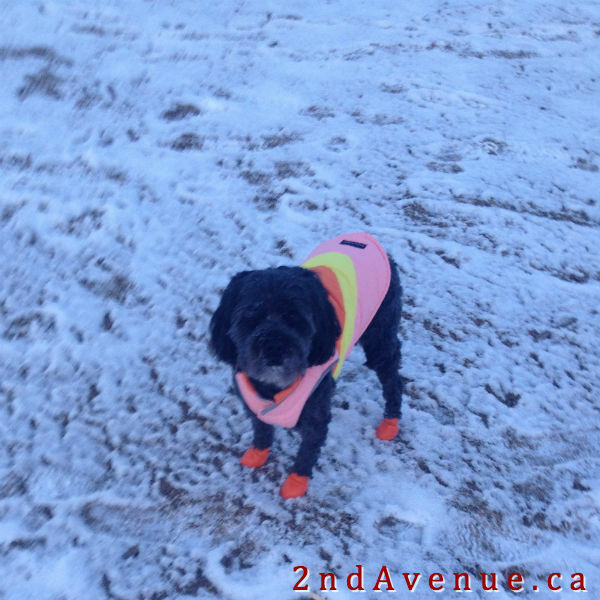 At least she’s consented to wearing booties to ward off the worst of the cold, prevent ice balls forming on her feet, and protect her paw pads from the salt and other chemicals used to melt the ice on sidewalks and driveways. 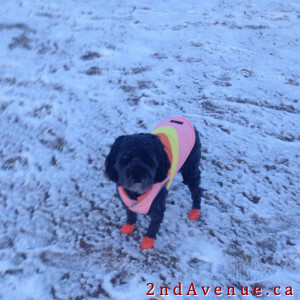 She was baffled by the booties initially and it was hilarious watching her trying to lift up all four paws at once in protest, but after a few minutes Sofie figured them out and now lets us put them on without a fight. Sofie’s proven herself to be pretty adaptable and has very much made herself comfortable… an inspiration to my and my husband! Staying with my sister-in-law and her family has certainly helped with feeling like we belong. They’ve made us feel incredibly welcome and comfortable – even though we’re still half living out of duffle bags! We’re both looking forward to really settling in – renting an apartment we’ll be in for longer than a few months, finding jobs, developing our hobbies (cycling, squash, and German lessons for him; yoga, volunteering, and a better command of French for me) and learning about our new city. If you have any tips for Calgary, please let me know!